If it’s Friday, it must be another installment of the 52 Lists Project. 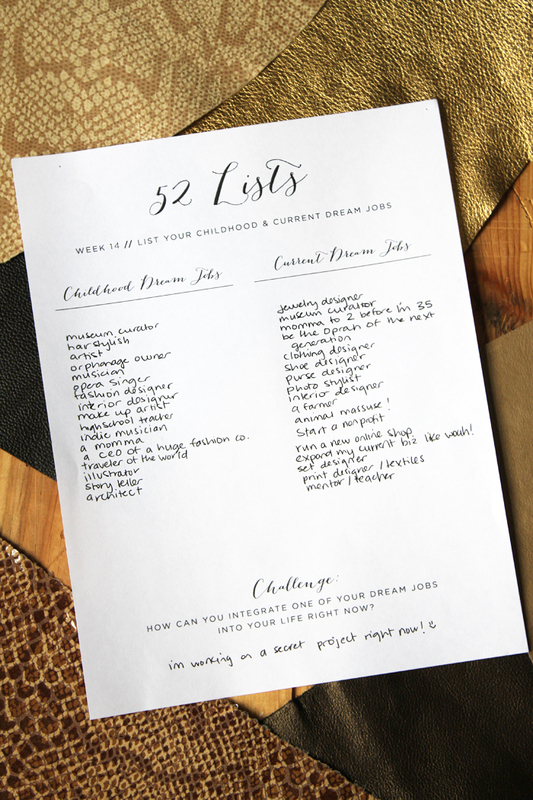 This week’s challenge is to list your childhood dream jobs, and the dream jobs you would like to have — or currently have! — as an adult. I enjoy blog prompts like this. I love reaching back into childhood, to remember who I was and how I perceived myself and the world at large — and seeing how much of it stuck, and how much morphed into something completely different. And why. Let’s face it — the real dream job for me would be lying around all day, in a soft, broken-in t-shirt and God knows what else, writing here and there, making out a lot, and standing up in the kitchen while I snack. And then having wine. Doesn’t seem to be anything in the want ads for a job like that. I know. I’ve looked. This week’s assignment: list your childhood — and current — dream jobs. author — I used to bang out stuff on my father’s typewriter from college, and scribble all over the sleeves of my parents’ record albums. Hmm. a “Price Is Right” model — I loved how they waved their hand so expertly and sensually across a row of canned peas or the door of a Ford Mustang convertible. I wanted that skill. massage therapist — sometimes I think I’d like to learn that skill. I’d like to help people heal. baker — just not the waking up at 4 am part. interior designer — for decidedly eccentric and unconventional people. Sister Parrish, I am not. momma to two loving, bright, hilarious children — that one, I got already. Thank you, Jesus.